In this Insight we will discover that there are more effective way’s of connecting with the buyer than through small talk and chit-chat. It is taken from a whitepaper we have published on the subject – you can download it in full here. Have You Adjusted to Selling In A Colder Climate? We have all experienced meetings where professional buyers are distinctively cold and formal. For an initial meeting that may not be such a surprise, however when it happens to a supplier who has a long standing relationship with the company it can be quite a shock. From the sellers point of view chit-chat or small talk is a valid sales technique in early stage meetings. 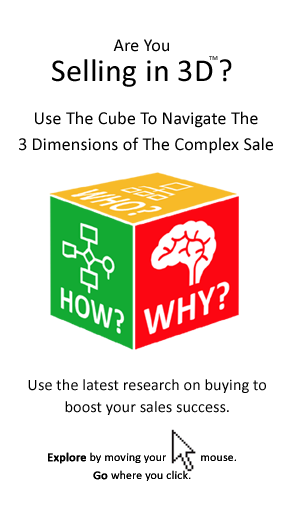 It can help to gauge, or read the buyer, to ease the buyer into the sale, to establish an emotional connection with the hope of influencing the purchase and so on. However, it takes two to chit-chat and today’s buyer in general seems to want to get down to business faster. For sellers buyer coldness can be unsettling. The new reserve of the professional buyer threatens to rob the salesperson of one of his/her primary sales skills − the ability to develop rapport. 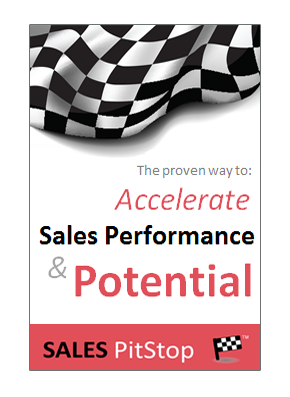 It is a fundamental shift in the very nature of traditional selling. Six reasons explain the new chill between buyer and seller – they are listed below with some comments made by buyers in our research. 1. Befriending Sellers Is Not The Buyer’s Job! 5. Buyers Don’t Have The Time! Here are six strategies to help you to sell more effectively to buyers who appear to be cold and reserved. Tick the ones for which you can answer ‘Yes’ − that is those that are presently being addressed, or covered by your sales approach. Pay particular attention to those that you cannot tick − they could be limiting your success. 1. Get Straight Down To Business! While other sellers are wasting time on chit-chat, get straight into the buying zone. Focus immediately on what it is that the buyer is trying to achieve, explaining how you can help and backing it up with examples of how you’ve helped others in the same situation. 2. Be More Business Like! Don’t bother reaching for your copy of how to win friends and influence people! Focus on what the buyer wants, the results, don’t get distracted by the petty stuff. Zoom in on the information, numbers, metrics, etc. that are important to the buyer. 3. Let The Other Person Do A Great Deal Of The Talking! Show you are a good listener. Use questions instead of statements. Show you are genuinely interested in the buyer and his/her needs. 4. Smile, Relax & Don’t Be Blown Off Course! If you are getting irked by the buyer’s apparent rudeness, take a deep breath and sit back in your chair. Then smile, it can be quite disarming. Make sure you avoid the appearance of any ego, aggression, or defensiveness. Do you want to make the buyer your friend, do you need him/her to like you? Well, perhaps you are taking it too personally! 6. Know & Respect The Buyer’s Process! It is important to understand the buyer’s process and to show your willingness to support it. Click to download the full white paper on ‘How To Sell To Buyers Who Are Cold & Reserved’ it contains a checklist to help you build relationships with even the most reserved buyer.